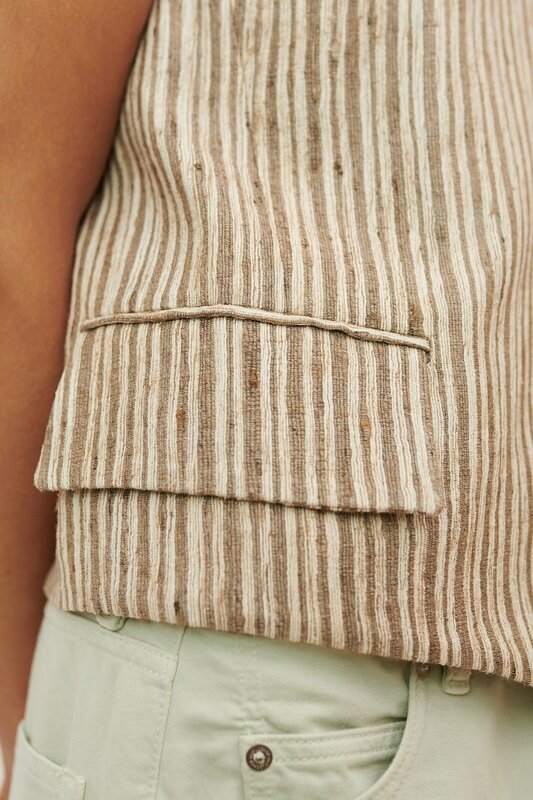 Our Borrowed Vest in Raw Silk Stripe. 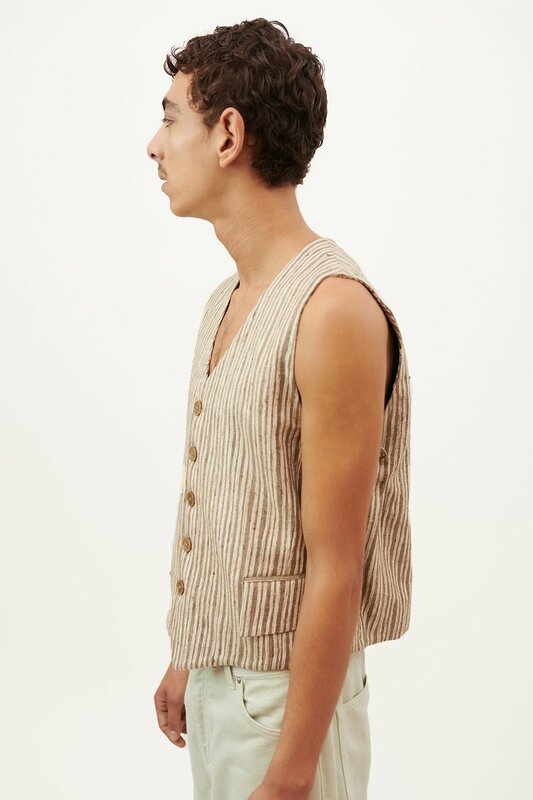 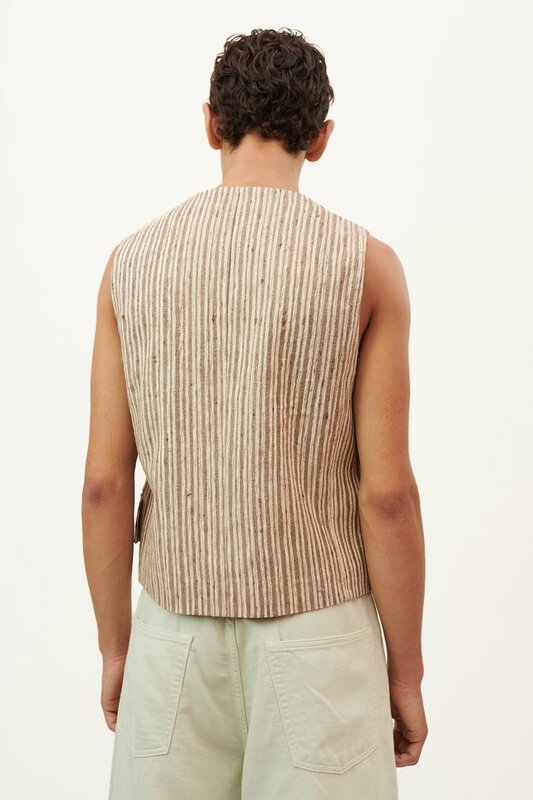 Produced in an Indian fabric which is hand spun from wild silk, the mens Borrowed Vest features a textured, irregular stripe pattern, horn buttons and two flapped welt pockets. 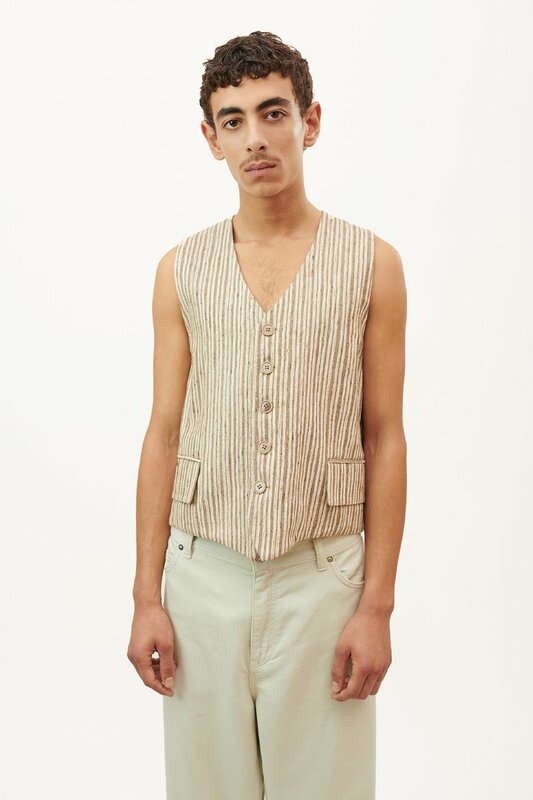 The Borrowed Vest is true to size with a slim, tailored fit. 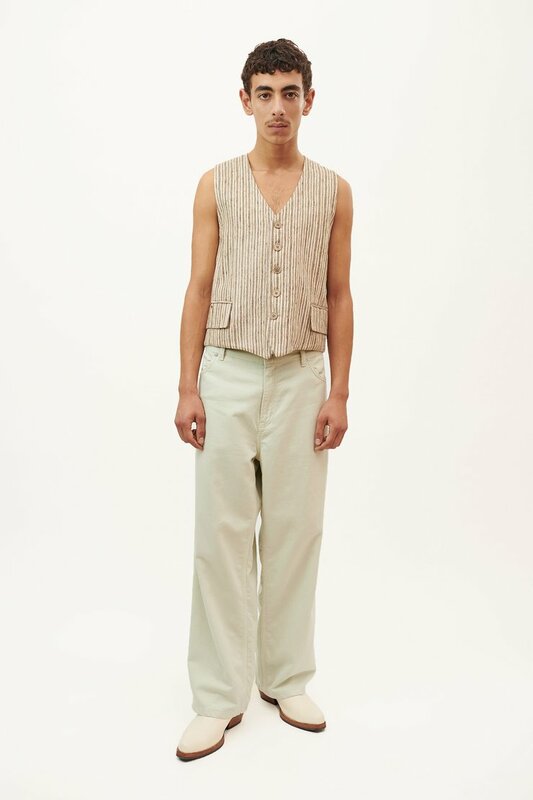 The model is 182 cm tall and is wearing a size 48.